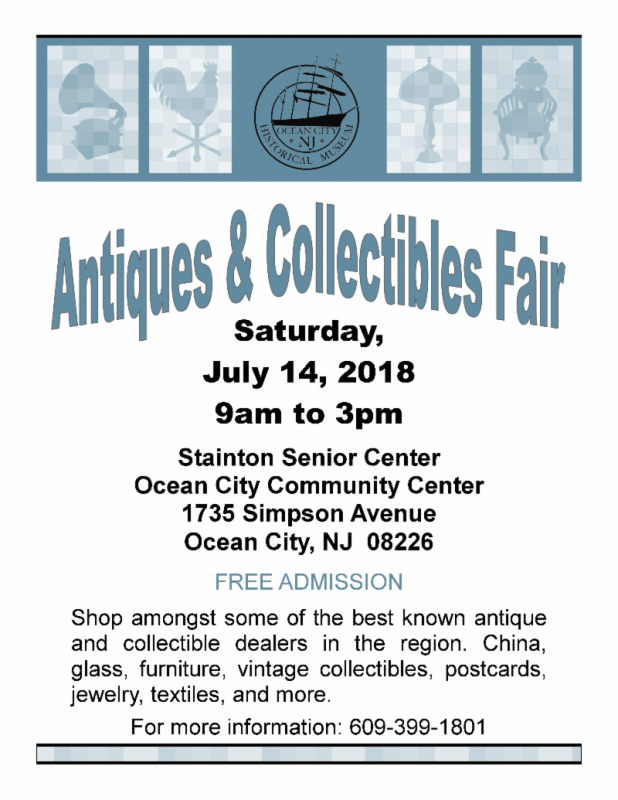 A vintage postcard with a note detailing memories of a trip to Ocean City, beach tags from long ago Jersey Shore vacations, top hats from a more genteel time and tables of fine craftsmanship from the early 1900s, are just some of the items for sale during the July 14 Ocean City Antiques & Collectibles Fair. 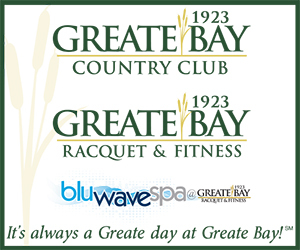 The show is in its fifth year and will feature 27 local dealers from 9 a.m. to 3 p.m. in the Ocean City Community Center, 1735 Simpson Ave. 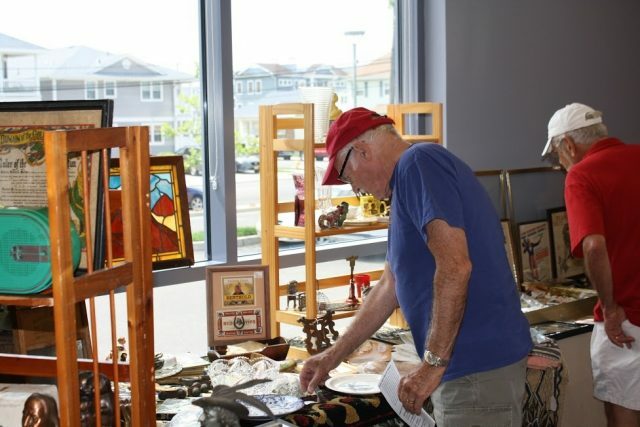 The fair, which is free and open to the public, also showcases nautical items, china and glassware, jewelry, paper memorabilia such as old menus and shore guides, and some rare books, explained Stephen Gring, co-manager of the show and a trustee of the Ocean City Historical Museum. Many antique dealers are returning to an event that seems to grow each year. 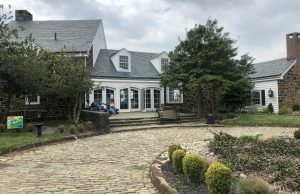 A dollar donation is all that is asked for from visitors and will go toward the Ocean City Historical Museum Curatorial Committee, Gring said. From baubles to collectible books, there is something for everyone from the dealer to the novice or newcomer to the world of antiques. “We have a couple of very good jewelry dealers with pieces as low as $5 to several hundred dollars,” Gring noted. Books go back to the early 1900s up to the 1960s and furniture for sale, including old wicker chairs, date from the early 1900s to the 1950s, Gring said. Gring, who sells antiques with his wife Mary Ann in the show, said there are some surprises this year, including pieces from the museum’s Curatorial Committee table. For the historian who wants to flip through an original Tim Cain book about Peck’s Beach, there are five books being offered at the fair for around $20. Gring explained the same book goes for more than double that on eBay. Carol Dotts, chairwoman of the Curatorial Committee and a museum trustee, oversees the museum table. 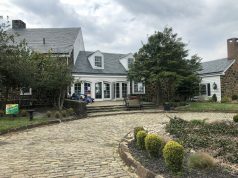 “We put the items out for sale that we don’t need for our collection,” Dotts said, adding that the items make wonderful purchases. 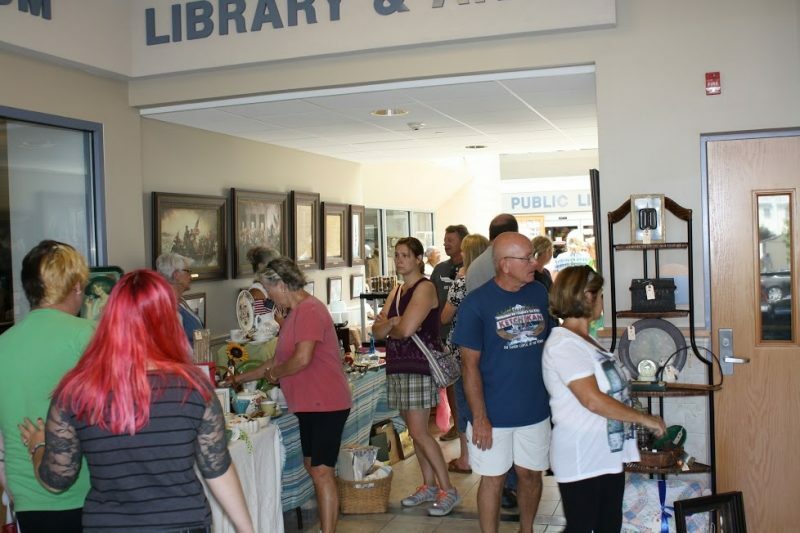 The show, she said, takes a lot of work to put together, but is a lot of fun and is a chance for the museum and the antiques dealers to give the community a special event. The best part, she said, is the fair lasts nearly all day. 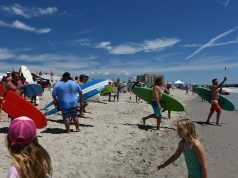 “You can shop for your collectibles in the morning and still have time for the beach,” Dotts said. 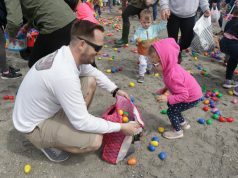 Executive Director of the Ocean City Historical Museum Jeff Granahan said the fair is a perfect way to bring people together who have a love of history and antiques. Granahan, like Gring and Dotts, is part of the team that organizes the fair every year. And whether you are an antiques expert, a collector, or just someone with an appreciation for the old, there is something for all ages at the show. Gring pointed out that it took a lot of work to organize the event, and like every year before, the show keeps growing and really becoming something the community looks forward to attending.